Thou the Chieftain had strutted its stuff along the border between West & East Germany through out the 60’s and 70’s as a true Main Battle Tank, its replacement was scheduled for the mid 80’s to take on the might of the Soviet Armies MBT’s like the T-72 and T-80, which had to be capable of being fitted with Chobham armour. It was expected that the FV4211 aka the “Aluminium Chieftain” would full fill this role, which was a new MBT developed in the UK with a 120mm calibre Length 55 main gun and Chobham armour. However it was cancelled prior to Regimental field trials, possibly due to the UK recession from the 1973 oil crisis. So the UK sought a new joint development program to save on costs. The US & German MBT-70 project had collapsed and thou Germany was working on its new tank (the Leopard 2) it started the FMBT programme with the UK in 1974. No design was finalised nor prototype built and the project ended, still leaving the UK with out a replacement for the Chieftain. A new program started after the cancellation of FMBT, which is known as the MBT80. 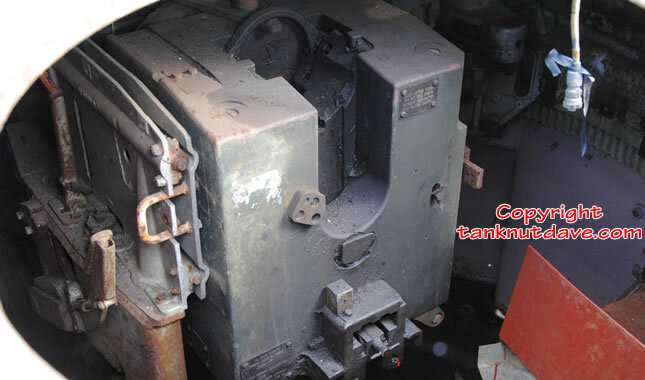 The design of the vehicle was never finalised nor working prototypes built, though there were two test rigs built used for experimenting and testing systems/equipment that would have been used on the MBT80 if it had entered production. This vehicle is currently in the hands of a private collector. The hull is assembled from parts of Shir-2 prototypes. 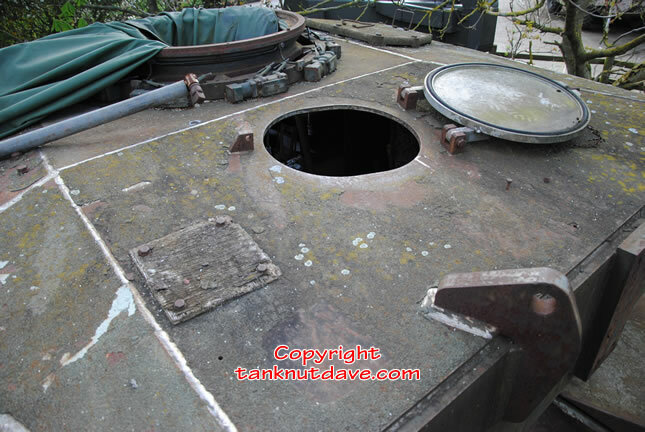 It has a Windsor turret, fitted with removable modular armour containing Chobham (or steel plates to resemble Chobham armours weight) used by boffins to complete necessary calculations on the armours weight and other Gubbins for the MBT80’s design. 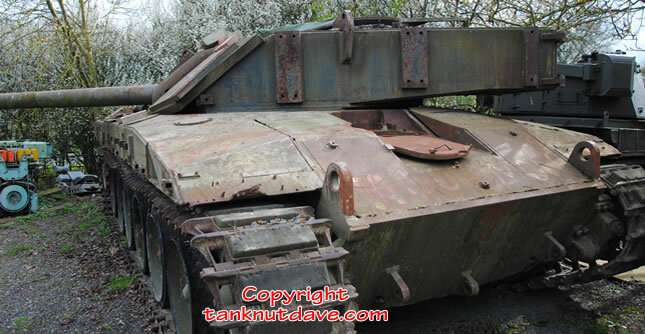 This vehicle is currently kept by the Bovington Tank Museum in Dorset. The vehicles hull was experimental, using a conventional steel front welded to an aluminium rear, hence the visible difference in both sections colour. Its reported that the welds holding both sections together have started to crack. 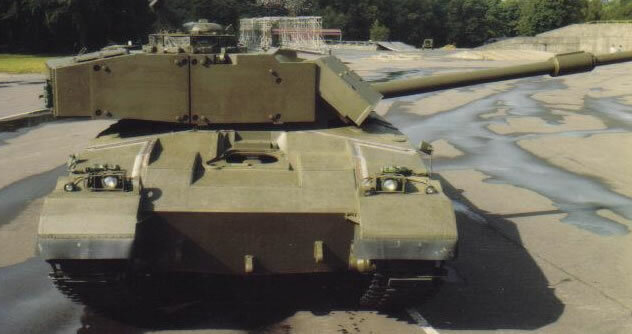 The turret on this vehicle is believed to be the one that would have been used in the final design of the MBT80. The main gun is believed to be 110mm bore calibre. It also houses sighting equipment that was second to none at the time of testing. The MBT80 project was cancelled in 1980 as it was projected the production cost of each new tank would be too high and that its service entry date would exceed the date set for the Chieftains replacement of 1985. 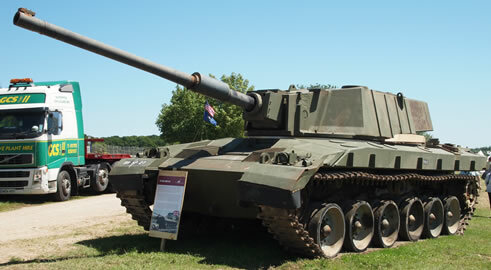 The Challenger 2 was the eventual replacement of the Chieftain, with the Challenger 1 (which was a modified Shir-2) serving as a temporary stop-gap whilst the Challenger 2 was developed.